Aurora Comms offers shopper marketing solutions which benefit retail. Adopting a 360 degree marketing approach has emerged as a must have for every retail entity as connecting well with the consumers. Aurora Comms is working well towards creating an experience for their potential customers for retail brands. Vishakha Singh, Executive Director, Aurora Comms shares her view with Neha Malhotra on how branding is important for current retail scenario. Neha Malhotra (NM): What all innovative and relevant branding solutions for consumer engagement are offered by Aurora Comms? 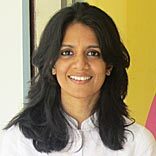 Vishakha Singh (VS): A Comms provides a 360-degree retail media marketing solutions to brands. This includes marketing solutions for consumer engagement include LCD streaming in electronic stores which we have pioneered, taking over store facades, windows, mall counters, shelf corners – whatever that the communication demands to reach consumers in relevant and contextual manner the most effective way. We adopt a wholesome approach toward any campaign. We build one only after understanding what the brand needs. For instance, the channel Prime BIG CBS was launching new shows in India so we surveyed top consumer hot spots across metros and zeroed in on Crossword and Croma facades. In a nutshell, our branding extends to all possible spend zones at hyper stores, multiplexes, restaurants and any other outdoor locations across India. NM: How important is it in today’s retail scenario to connect with the consumer directly? Are brands moving towards it or away from it today? VS: For brands today, it is all about creating an experience for their potential customers. Retail is a consumer touch point. It’s where the consumer gets to touch, feel, talk to the brand unlike any other medium. At the same time, outdoor zones are where brands align themselves and match their expectations with those of the shopper. The whole process is about experiential learning and we are at the centre of all the action! How a brand uses shopper marketing often makes a difference to overall sales. Connecting to the consumer directly, and in an effective, focused manner is not only important, it has become a requisite for some segments. In more evolved markets, brands give substantial weightage to shopper marketing in their 360-degree campaigns, and Indian marketers too are warming up to these realities. NM: How are these applicable in retail? VS: Our branding solutions are largely applicable to retail thanks to the media we utilise. Numerous retail spend zones such as malls, multiplexes as well as fitness centres, restaurant chains etc see high footfall of the upwardly mobile customer and hence our solutions – and how we present them, whether as TV visuals or standees on counters – make direct contact with them. When you are in a buying environment, you are consciously or sub-consciously seeing things around you. You are more receptive to things around you. For instance, most women notice fashion when they walk around retail spend zones. Sub-consciously, it is important for brands to be contextual and relevant. Understanding our retail market and how our stores function is crucial before assuming what our customers function. NM: Who all are your clients with respect to retail? VS: We have already worked with a cross-section of clients and brands in the retail zone. Starting with financial products such as Principal Mutual Fund, premium apparel such as Raymond, many in the entertainment sector including Star and BIG CBS, Tata I Shakti pulses and more. NM: How does retail benefit from these? VS: A big reason why shopper marketing has picked up around the world is that it presents win-win situations to the retailer, brand and us marketers. Retail attracts footfalls when it is treated as media, hence converting footfalls into eyeballs. And like any other media, retail also gains revenues from brands. And the consumer experience at walk-in is an important by-product. Retail benefits monetarily simply by offering existing space – whether physical or digital. Secondly, tie-ups with like-minded brands enhance the retail outlet’s image too, besides earning them a position of being an innovative, sensitive-to-costumers seller. Lastly, a ‘demo experience’ such as a perfume being sprayed on you is only possible at point of purchase. In this whole ‘experience’, there are both direct and subtle ways in which retail benefits. NM: Which realm of retail do you think has most potential for ‘retail media field’? VS: The truth is, any location that is in the line of sight of the consumer, yet not obstructive, has the potential to work as a good medium. The key is to simply drive the message in the context where the medium is and only then it makes sense. Today’s urban shopping spaces are often seen as cluttered but we only see more and more opportunities for shopper marketing. NM: What future do you foresee for such applications in retail? VS: We are living in a lively retail world where more and more consumer engagement is a fact. For any brand targeting urban consumers, it has become essential to sieve their communication from the shoppers’ point of view. As consumption increases, shopper marketing grows and thereby, usage of media and retail also grows. Basically, we must admit to a multi-brand, multi-product scenario. It is not just about the fight for shelf-space any more, it is the struggle to have a large share of a potential consumer’s mind space. Shopper marketing is not about just being at the point of sale but ‘across the path to purchase’ and that is what will be increasingly applied in the evolving market.